Vienna police announced this week that they have arrested 18 suspected members of a drug ring, along with the seizure of several kilograms of illicit drugs. The drugs found during a search included 3.9 kg of heroin, 4.5 kg of speed, 5,200 ecstasy tablets, 550 grammes of cocaine and 39 kg of diluent, a substance used to dilute the potency of some drugs. In addition to the drugs, police announced that they had secured three handguns and 60,000 euros in cash. According to a police spokesman, investigations had commenced in Autumn 2014, with suspects from both Serbia and Montenegro under surveillance. 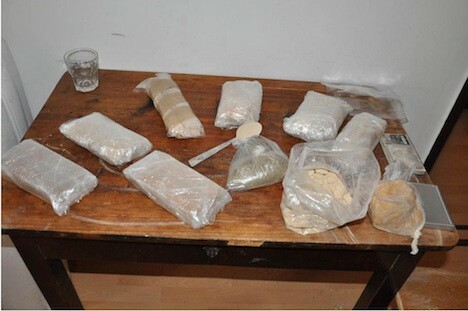 The street distribution of the drug involved a network of “safe houses”, with the drugs stored in several different apartments across Vienna. The “street price” of the heroin was between 35 and 40 euros per gramme. The sellers maintained “business hours”, selling only between noon and 8 p.m.
One of the chief suspects was arrested at an apartment in the Hernals district of Vienna. All of the suspects are now in custody, awaiting a hearing that is likely to result in detention until their trials.